You may have seen people are getting quite depressed nowadays and having some painful nights. The nights are becoming annoying for them as they are not able to sleep due to severe cervical pains. You may have decided to do a replacement surgery and want to give entry to some foreign matters entry to your body. It might resolve the issues for quite a while. Besides that, implantation of any foreign bodies can cause more severe disease in the future. It is, for this reason, people started trusting DPMC, and now DPMC has healed the cause of more than 50000 patients suffering from the pain of arthritis. DPMC is providing the best treatment to the people who are suffering from the arthritis problem, without forcing them to do surgery or any replacement surgery. They are providing the treatment with some non-surgical methods which can benefit the patient in many ways. Other than these problems, people may suffer from various other problems resulting from spur bone growth. Since the cartilage which generally cushions the bones starts to wear away, the body makes attempts for destabilizing the joint with osteophytes as well as bone spurs. These tiny projections occur in places where joint deterioration occurs. They often develop without any production of symptoms. 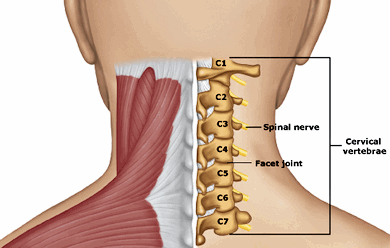 In the case of cervical facet syndrome, the nerve roots which are affected are located in the neck area. But the nerves branch out for innervating other parts of the body. Symptoms tend to radiate down the affected nerves and cause numbness, pain in the shoulders, weakness, and pain in the hands or arms. It depends on which nerve is affected. • Pain Medications – Pain relievers like non-steroidal anti-inflammatory drugs (NSAIDs) and acetaminophen can help people suffering from it manage the symptoms of this disease. Prescription drugs need to be recommended in cases the symptoms become severe and don’t respond to medications. • Physical therapy – This is needed for keeping the spine fit as well as making the surrounding muscles strong for controlling the symptoms. Various physical therapy sessions by Cervical Specialist, as well as regular activities, can help in maintaining or improving flexibility as well as muscle tone. • Spinal therapy –– If a combination of physical and pharmacotherapy is unable to provide adequate pain relief then we should go for interventional (injection) painmanagement techniques such as cervical epidural and trigger point injections. These techniques are absolutely safe, effective and produce rapid recovery in all age groups provided they are performed by the experts (pain physicians). 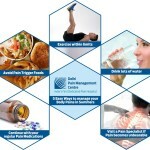 • Applying heat or ice – Applying heat at the place of pain may stop the pain temporarily. Also, placing ice packs on swollen areas can help in reduction of inflammation. Physicians recommend one of these or often both these methods. It is very important to follow instructions on how to apply the treatment.